I am always struck by the beauty of observatories. 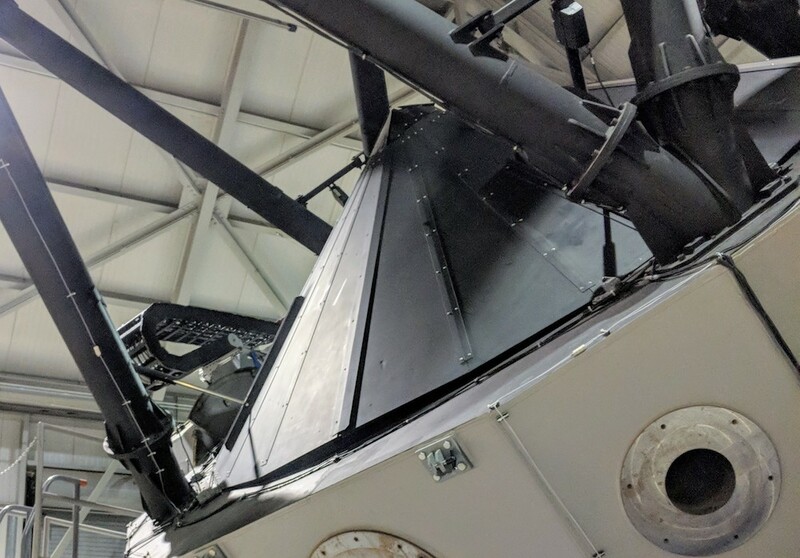 Telescopes are engineering monuments to humankind's curiosity about the universe. The questions are so big and the answers are often so surprising. 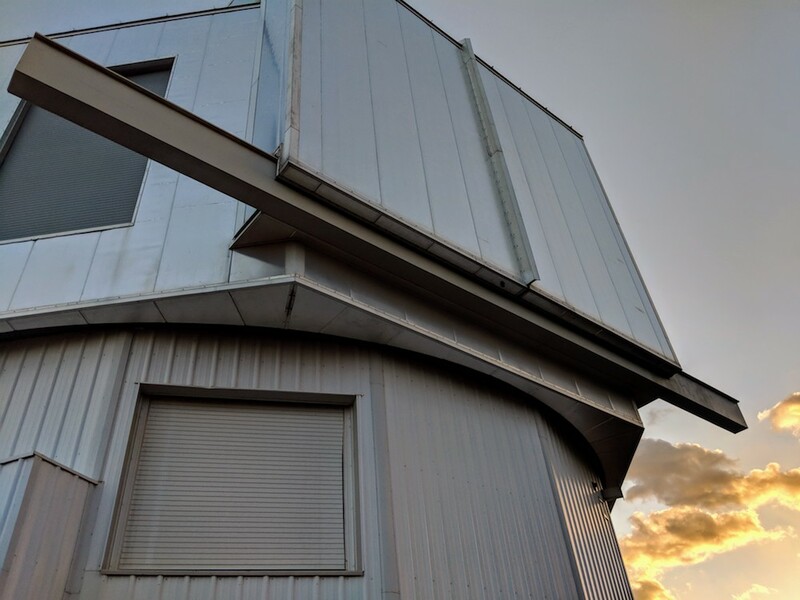 Research telescopes are typically in remote locations, far away from the night lights of civilization, and on mountaintops where the air flow is steady for clearer images. 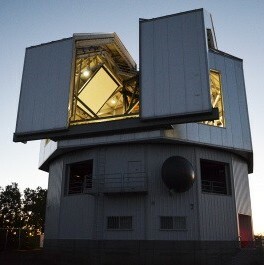 The Lowell Observatory Discovery Channel Telescope (DCT) is located about 40 miles SE of Flagstaff Arizona and for the inaugural 2-week commissioning run, I stayed at the Giovale-Millis lodge , a log cabin that the astronomers and telescope operators use when observing at night and sleeping during the day. A pair of bald eagles soar over this territory and herds of elk roam through the Coconino Forest, our front yard. Years of work went into EXPRES and as I look at this instrument, I am surprised that I ever had the audacity to start this project. The moment of truth starts now. It will take us a few more months of collecting and analyzing data to know if we made the right design decisions and I feel both humbled and hopeful. I'm proud of the fact that our design decisions were driven by evidence gleaned from many years of experience. But did I forget anything? The team deserves a huge shout-out for their unflagging efforts. Even with the time difference between Arizona and the east coast, Andy, Ryan, and John joined in on the observations remotely, jumping in to make any needed software fixes. 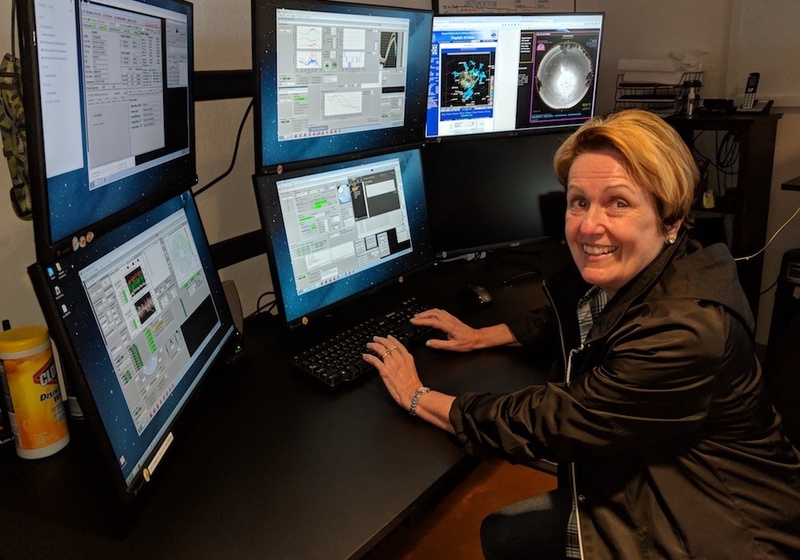 Grad students Lily and Allen worked day and night at Yale to obtain calibration images. There was also support at the observatory from the Lowell telescope operators (Heidi, Andrew and Jason). 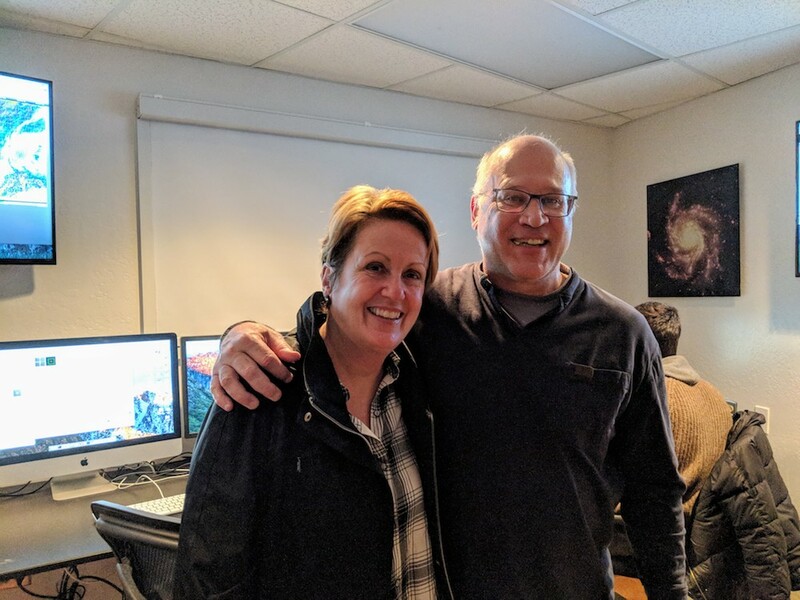 At one point, we were rescued by Tilo Steinmetz (Menlo Systems) who logged in from Switzerland during Easter vacation with his family to get the laser comb re-aligned. 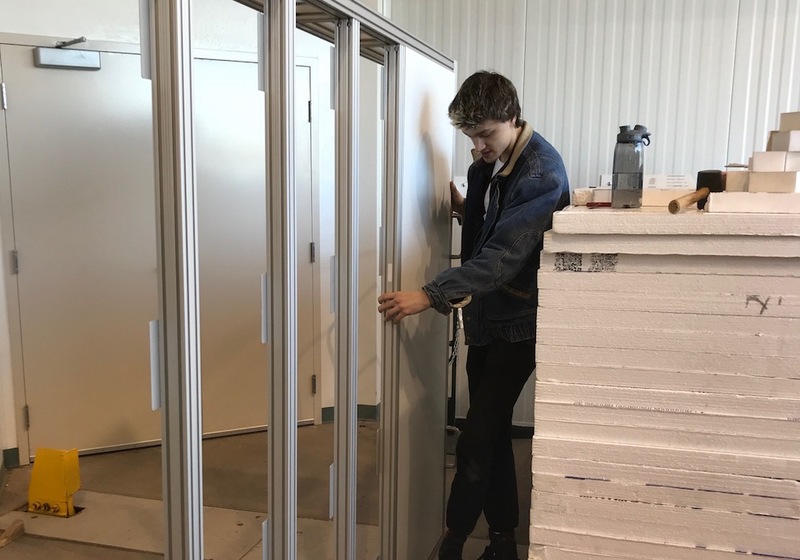 And I am incredilby grateful to my son, Ben , who came out to construct the thermal enclosure that surrounds the vacuum chamber. 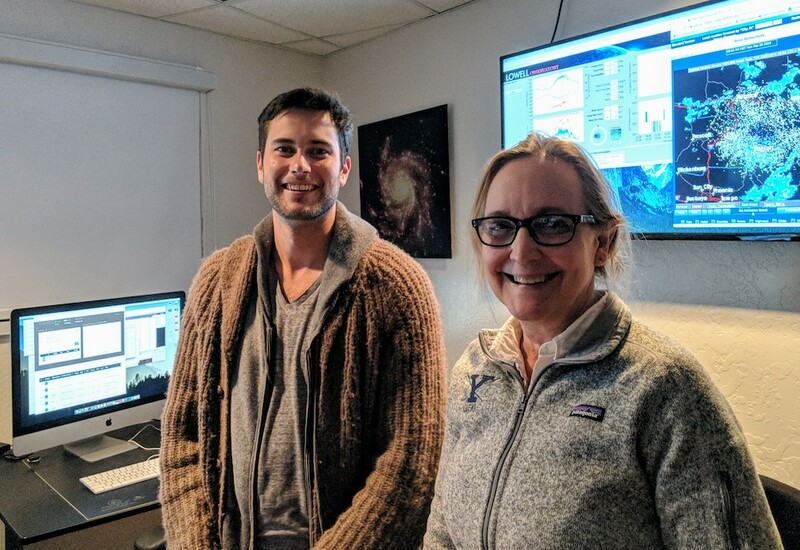 Undergrad Yonatan Zeff  worked for the first nights of this inaugural observing run and we had a fun visit by Yale alum Jack Moses and his wife . 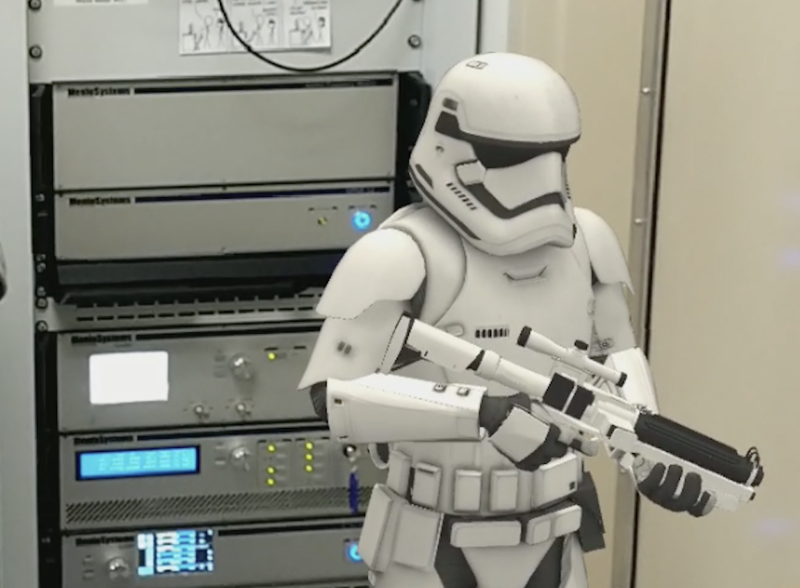 We immediately put Anne to work , and Jack installed a Storm Trooper  to watch over the laser frequency comb. Jack sent us some of the spectacular pictures below. It's wonderful to see our research [7,8] through the fresh eyes of our guests!